Exclamania! 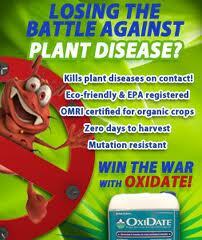 : WIN THE WAR WITH OXIDATE! WIN THE WAR WITH OXIDATE! Isn't that the same critter from the athlete's foot commercials? Clearly marketed to men. Women are not "at war" with gardening.